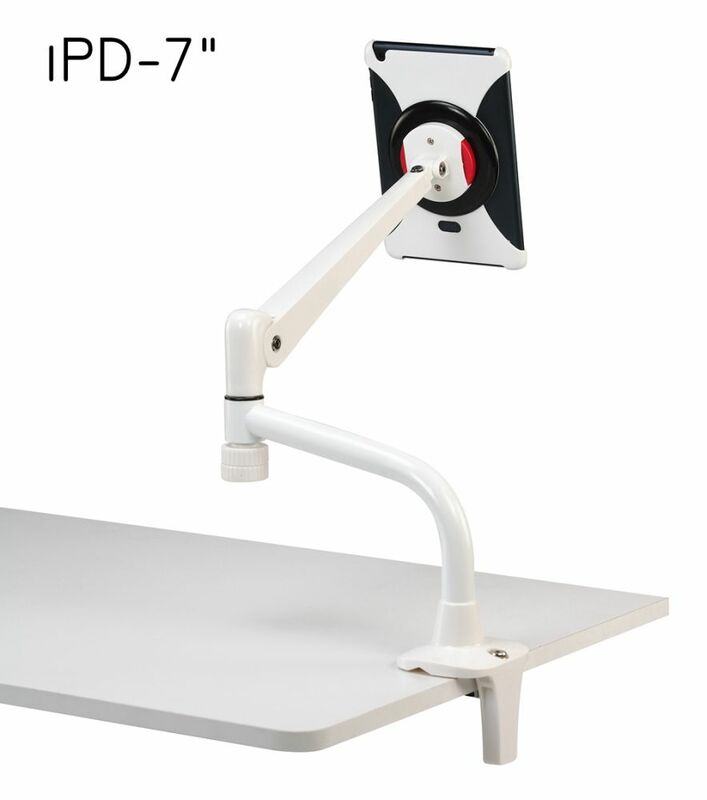 iPD helps to secure tablets onto the worktops and provides steady supports with flexible adjustment to create a better viewing experience, perfect for users in need of multitaking platforms. 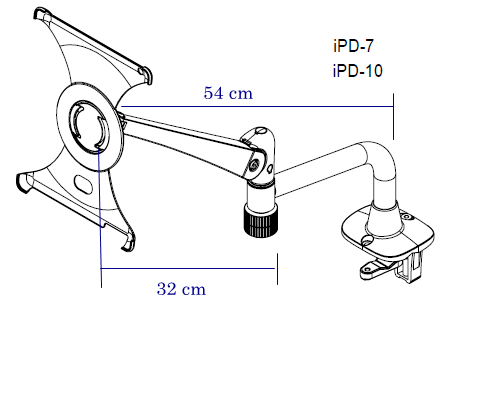 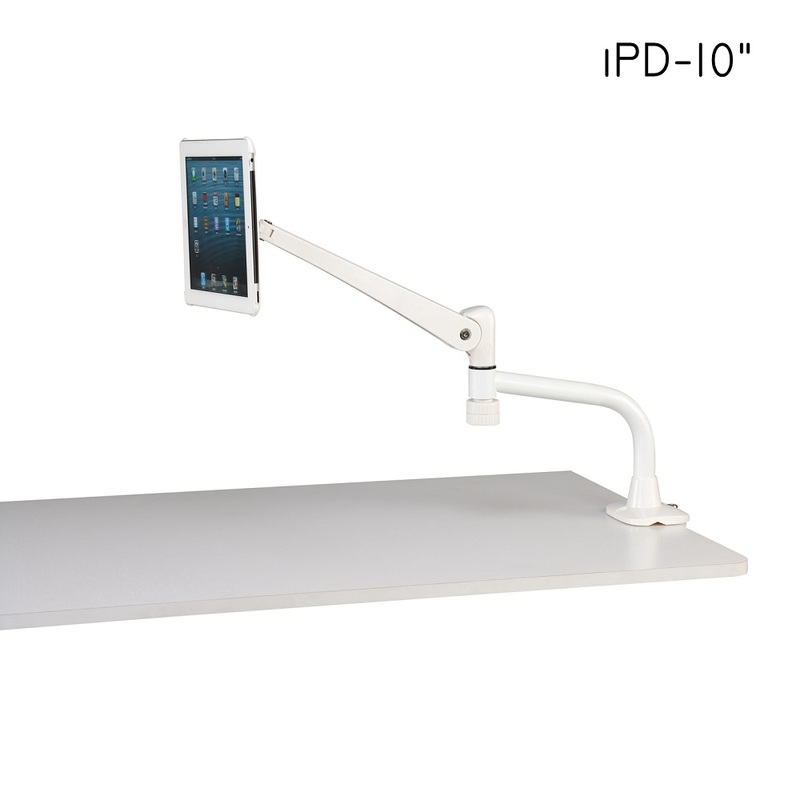 iPD-7 and iPD-10 each provides extensive supports for fixed tablet size of 7" or 10" respectively. 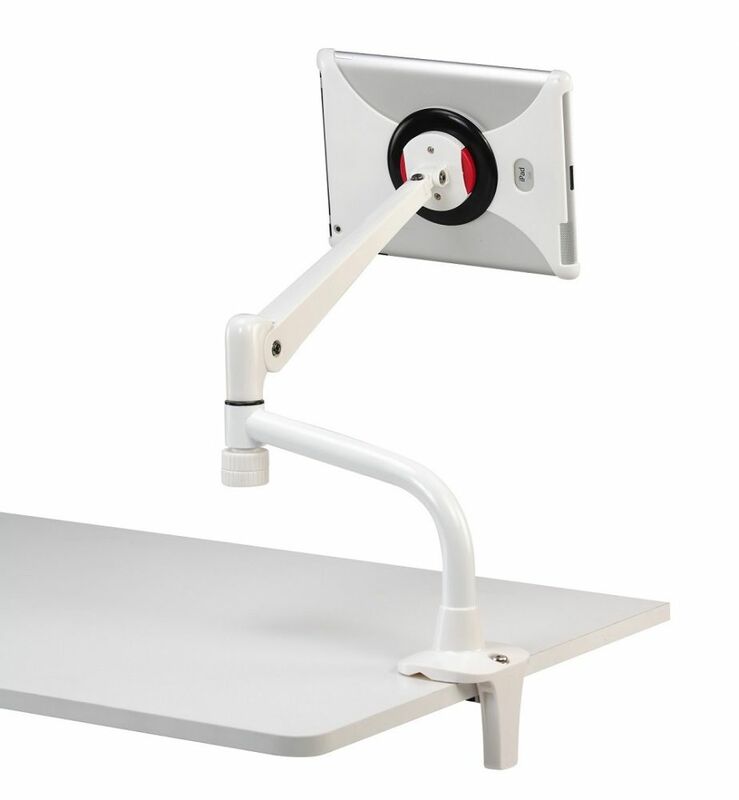 EasienessEasy release buttons are available to help mount the tablet case or dismount it for portability. 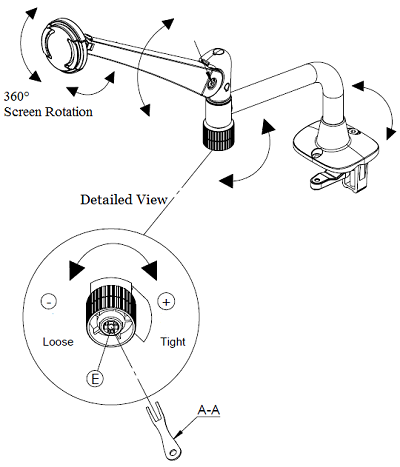 OrganizationLeaving worktop clean and easy to manage. 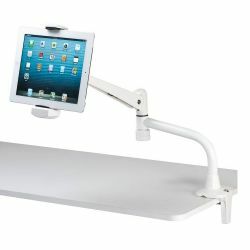 No more wasting time on looking for tablets everywhere. Compatible ModelsiPad, Tab, Kindle and any other tablets size of 7" OR 10". 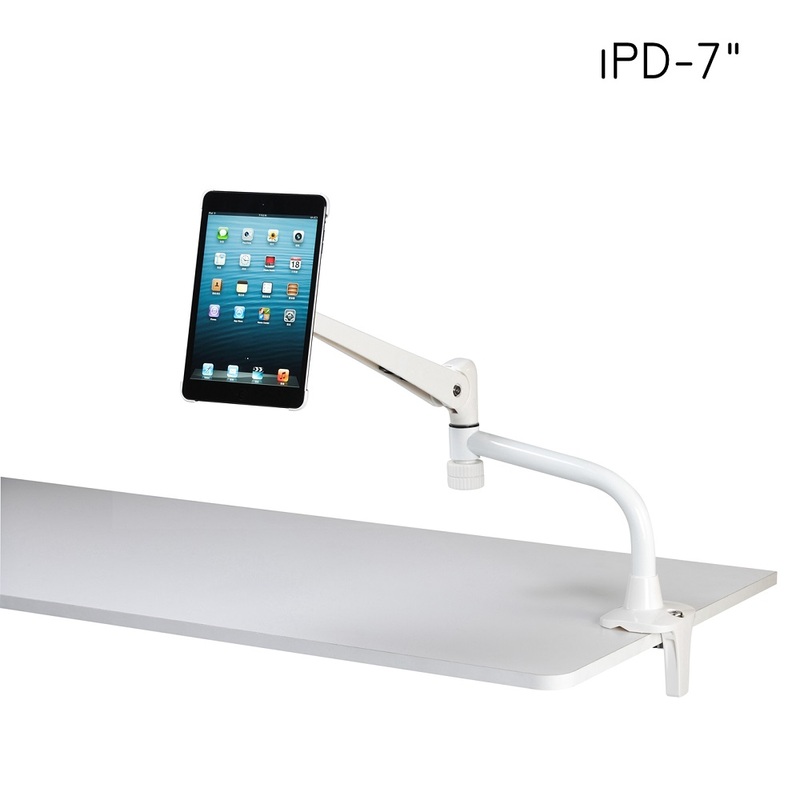 VarietyiPD-7 fits with any 7-inch tablets. 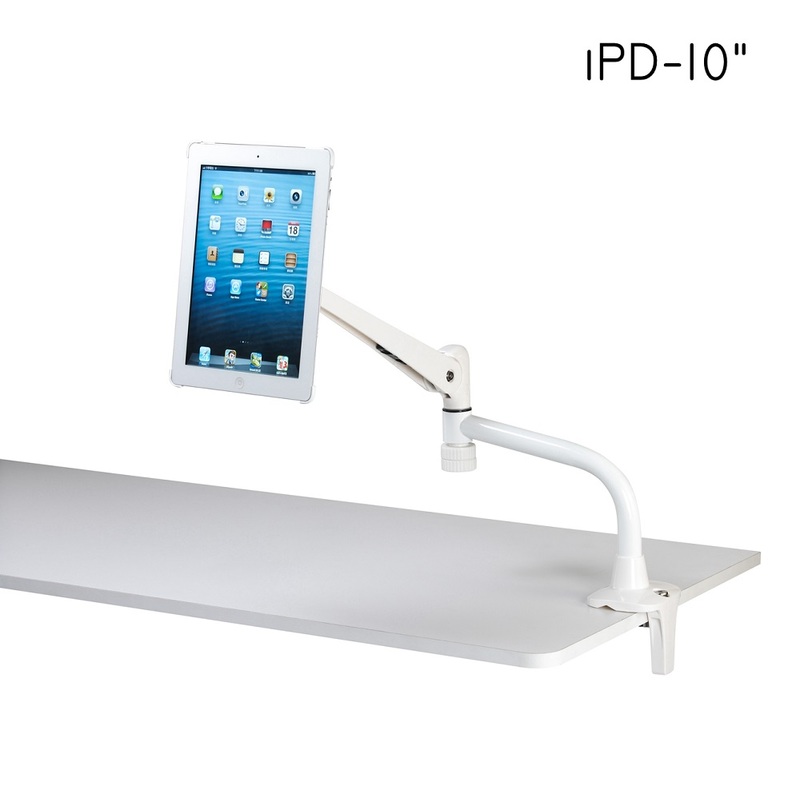 iPD-10 fits with any 10-inch tablets. 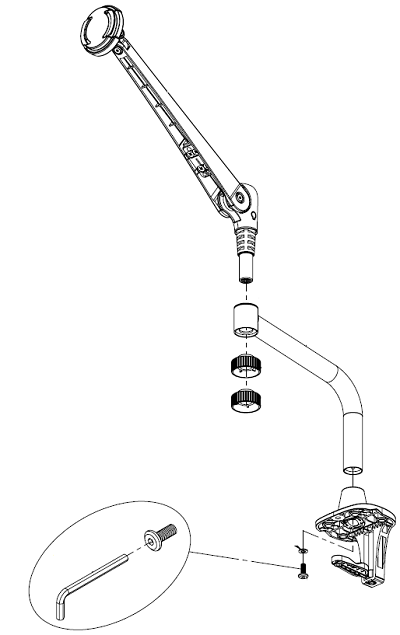 Manual Adjustment (tools included and required at times). 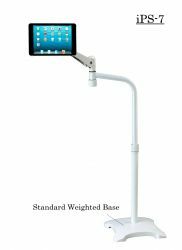 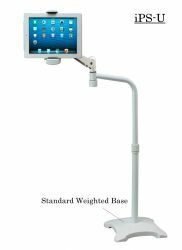 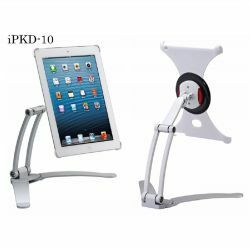 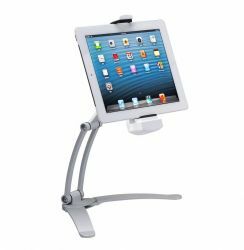 Expandable Snap-on tablet case of universal sizes from 7"-10.1"
Articulating arm desk mount clamp for tablet sizes between 7"-10.1".